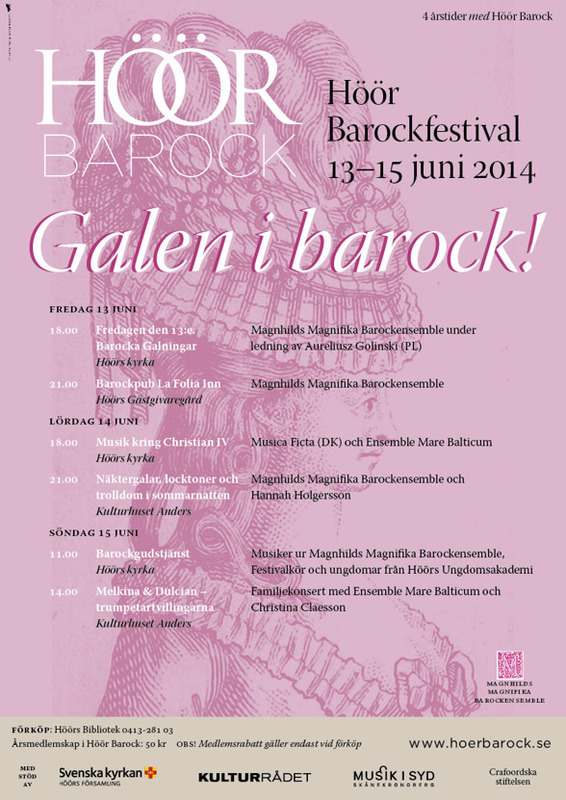 During the upcoming weekend it's time for the annual Höör Baroque Festival! This international festival offers as usual a varied and extraordinary program, and the theme of 2014 is "Crazy about baroque"...! Hannah Holgersson will participate with music from The Fairy Queen by Purcell. The full festival program, as well as further festival information, is to be found HERE!